There's always a "reason" to quit. But being a person who overcomes is the kind of person you and I want to be! Don't you just hate it when co-workers, friends, or people you know, COMPLAIN? Isn't it just like nails on a chalkboard? Or, perhaps you've even found yourself complaining. We've all been there. We've all done it. ➔ What are some ways that you have overcome in the past, that could empower you today? 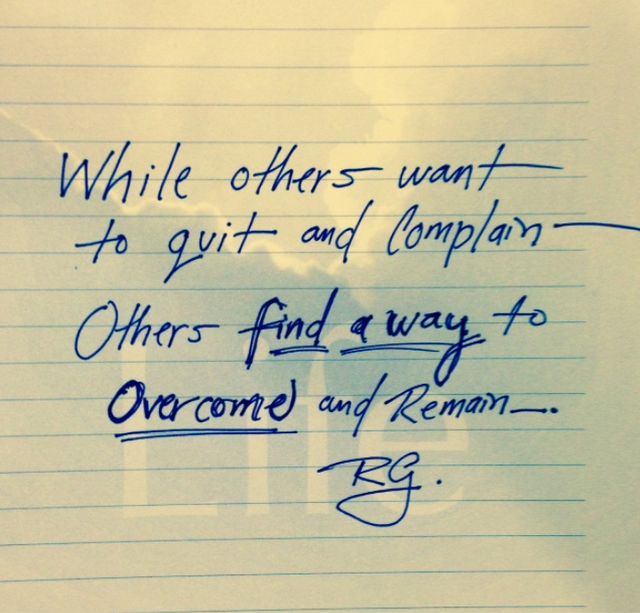 ➔ If you catch yourself complaining this week, what's one thing you can do to shift your thinking? ➔ Let me know in the comments below.